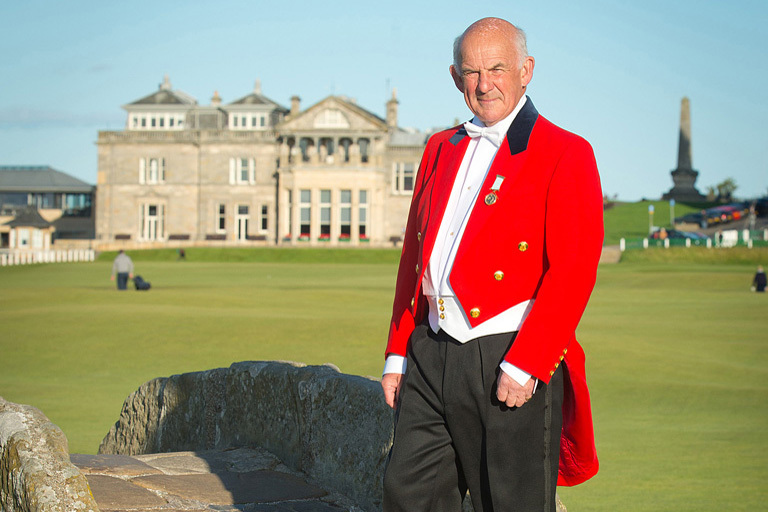 During the year, our President Gavin Caldwell, was elected Captain of the R&A, an honour befitting his life long dedication to golf and both on and off the course. 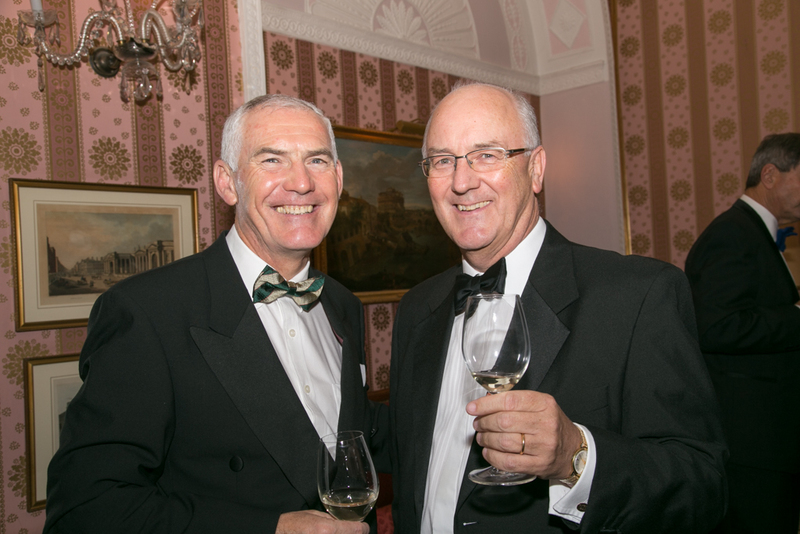 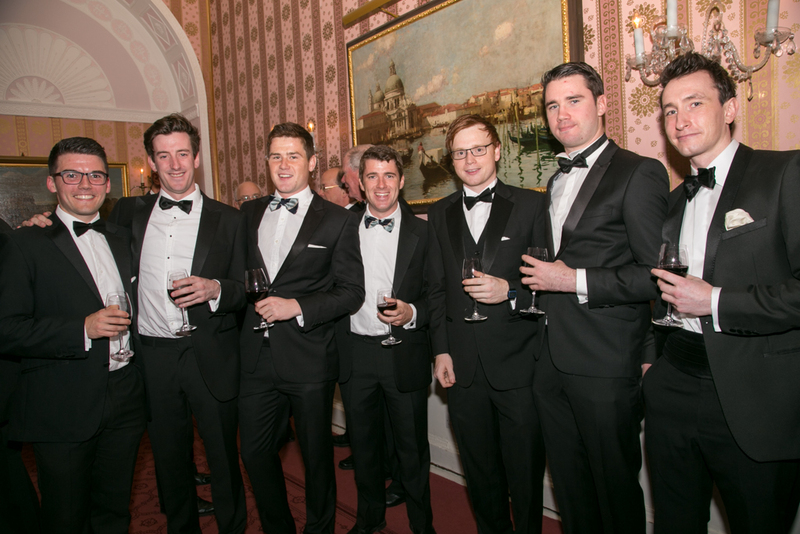 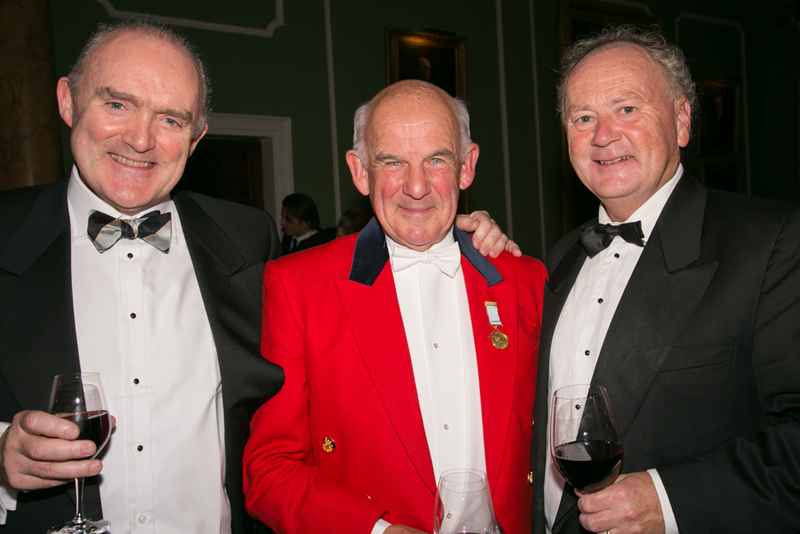 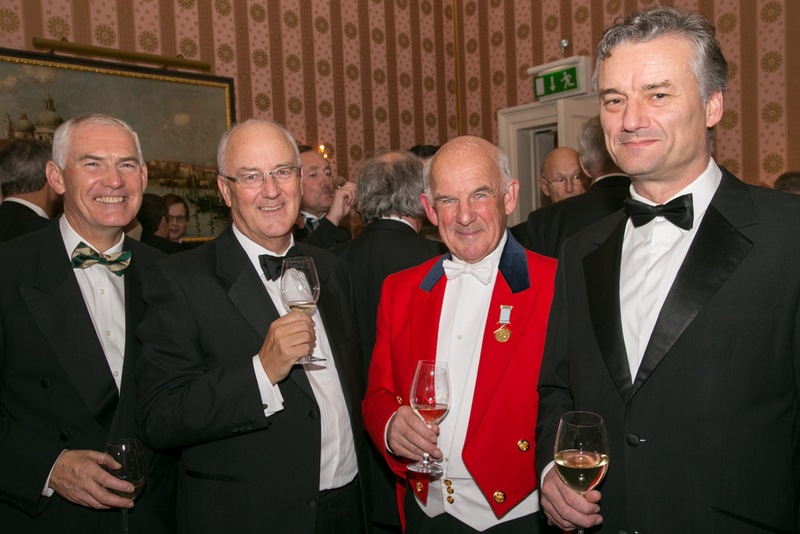 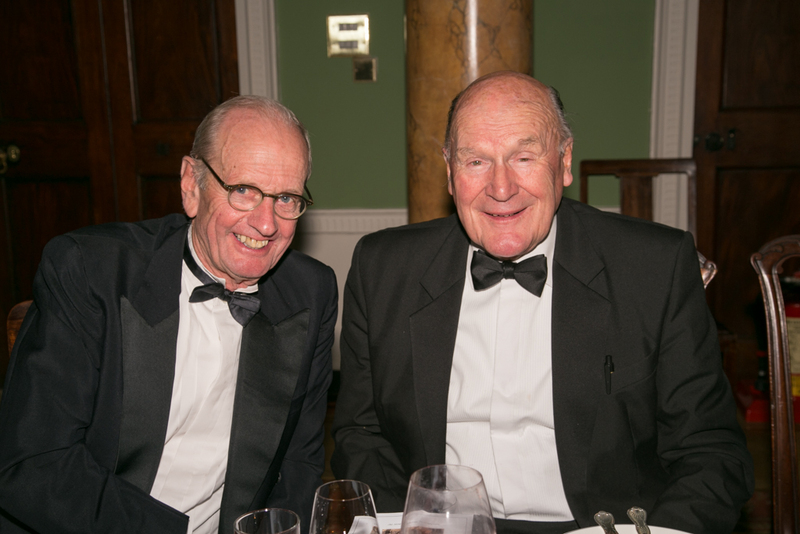 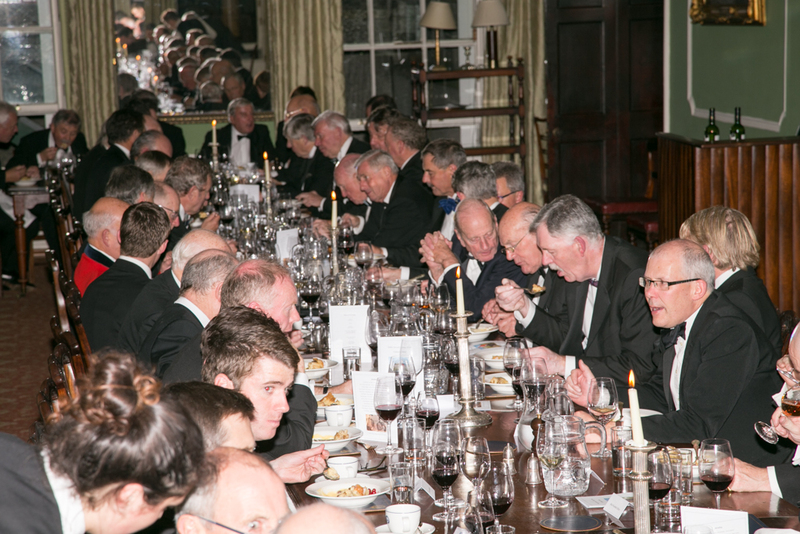 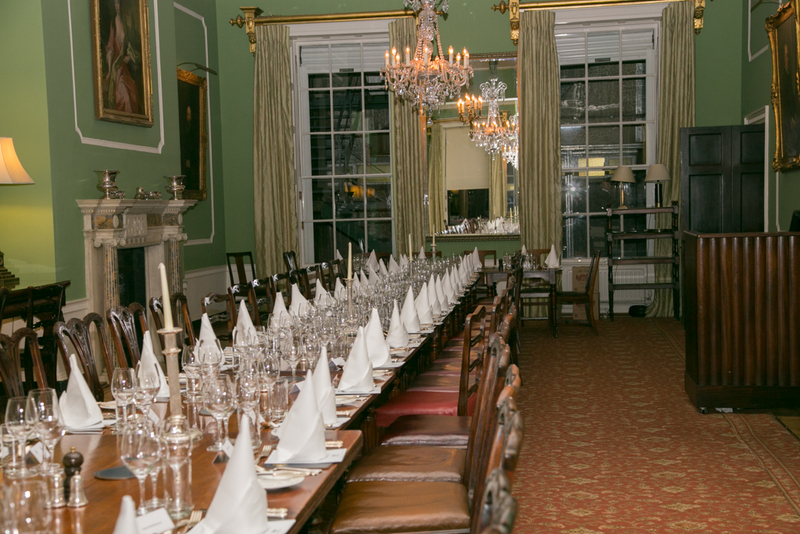 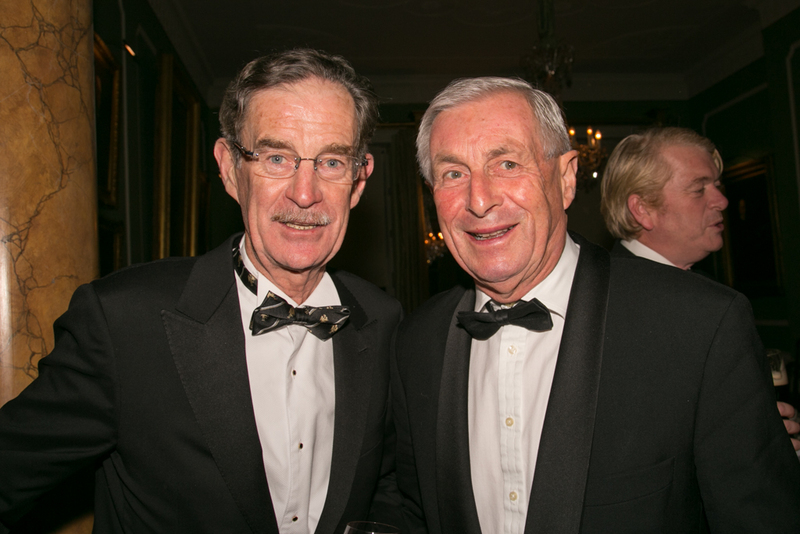 In order to mark the occasion a black tie dinner was held in the Kildare Street and University Club on 12th November with 57 members attending. 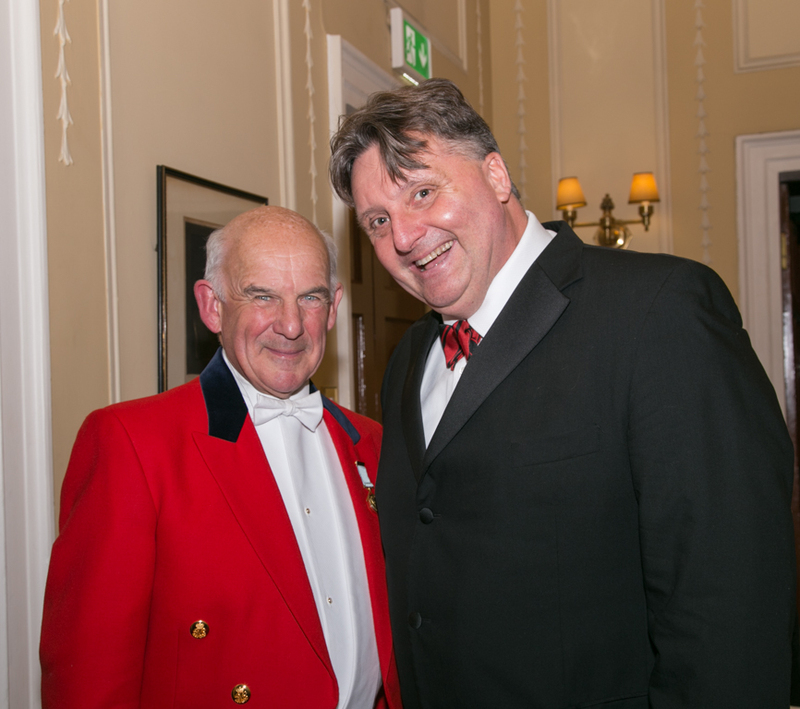 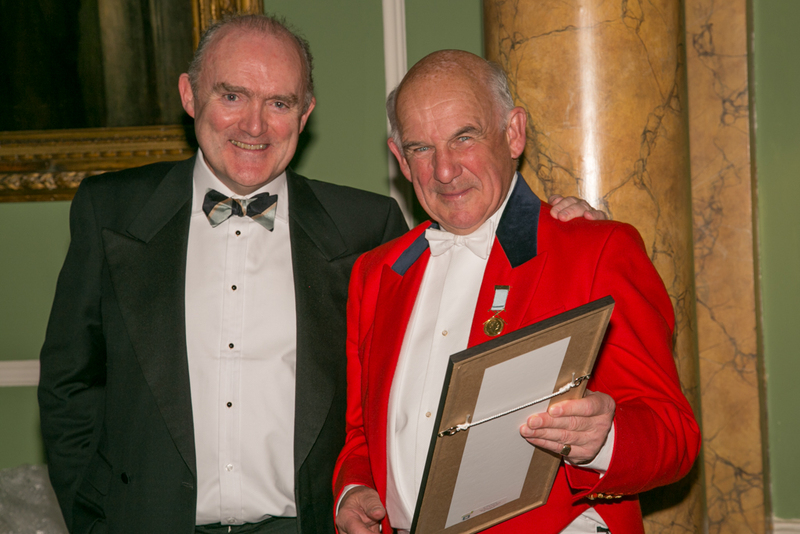 Our guest of honour, resplendent in his red coat, listened with amusement as Brian Dunnion read an "Ode to Gavin". 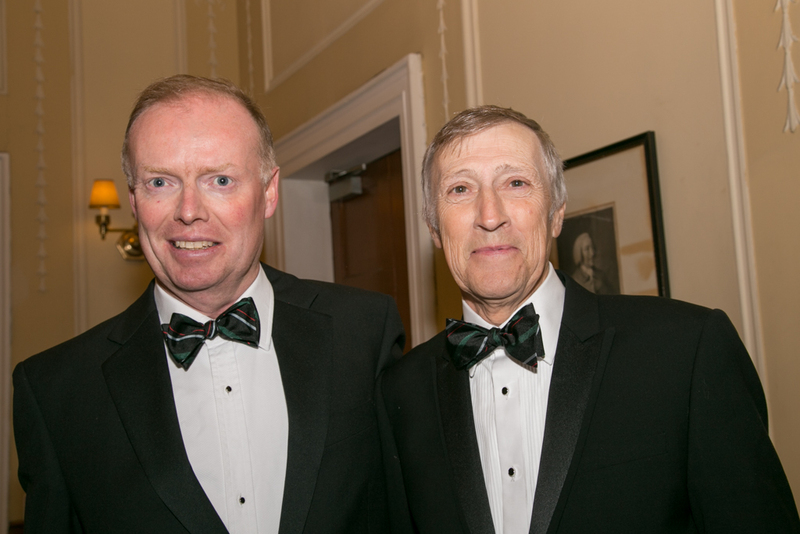 Provost Anthony Traill founded the Society in 1909 and it was very good to welcome the current Provost Patrick Pendergast, who congratulated Gavin and said how great an honour it was that a Trinity graduate should achieve the highest office in golf. 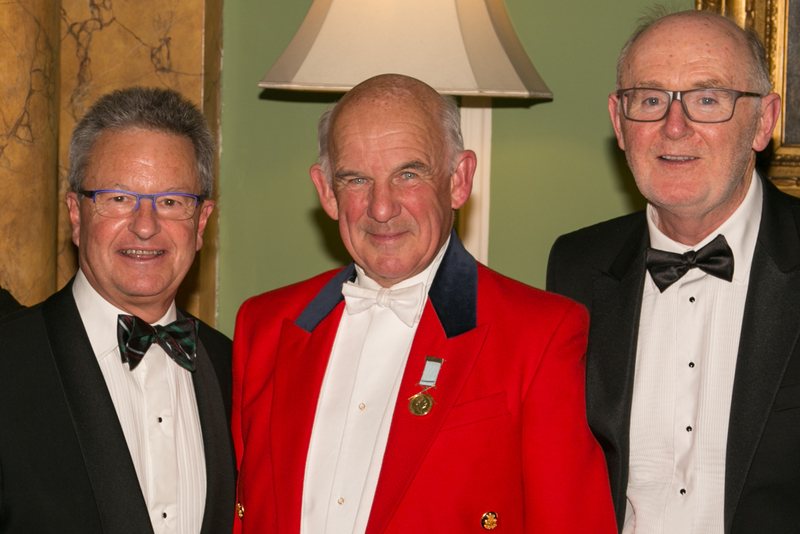 He spoke of his surprise in learning of the tremendous activity within the Society and the very close ties it maintains with the College and the DU Golf Club. 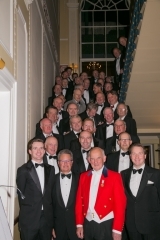 He commended the Society in the way it has uniquely spanned the generation gap with members of all ages coming together to play golf and enjoy each other's company. 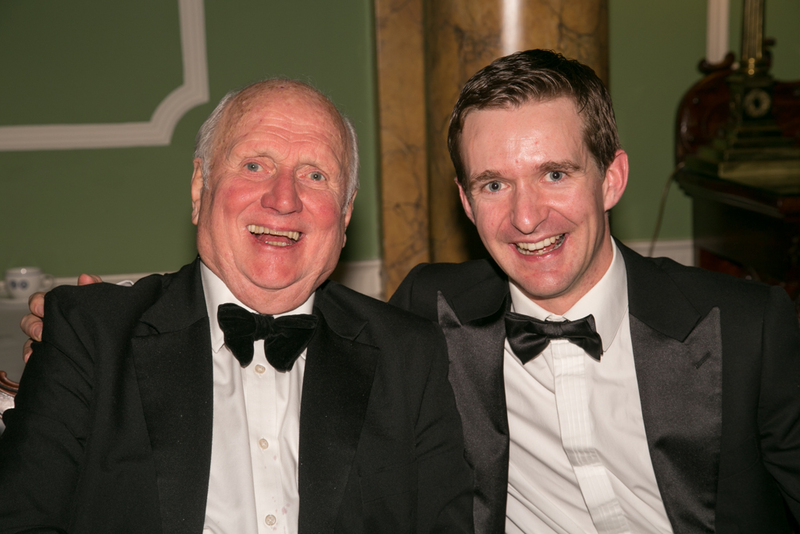 Next to speak was David Conway who shared with us some incidents from our guest's past, while Gavin sat with a furrowed brow wondering what secrets were next going to be revealed. 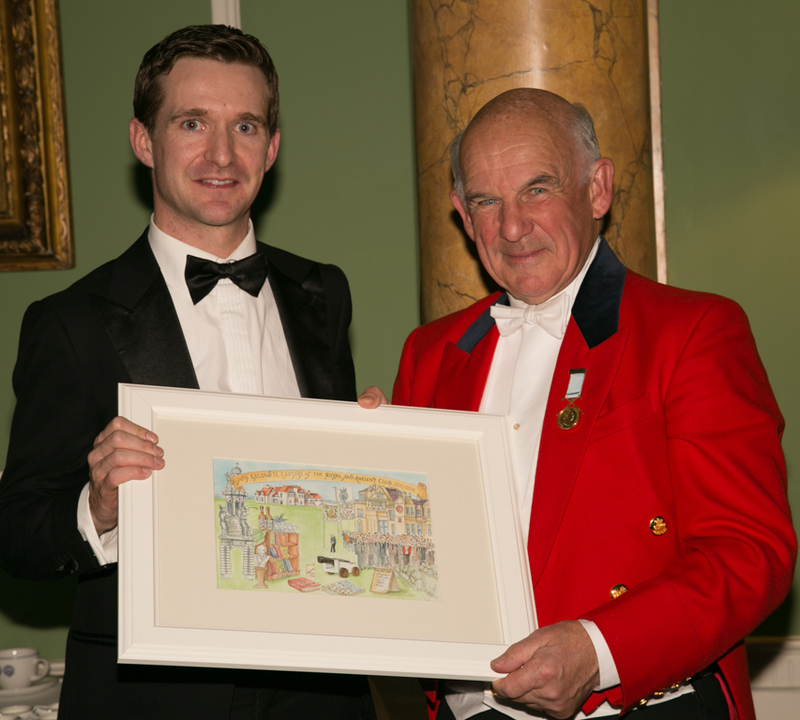 Our Captain Jerome Counihan, presented Gavin with a special painting depicting some points of note from his golfing career - Trinity, DUGS, Portmarnock, St Andrew's, Walker Cup, Kummel and many more. 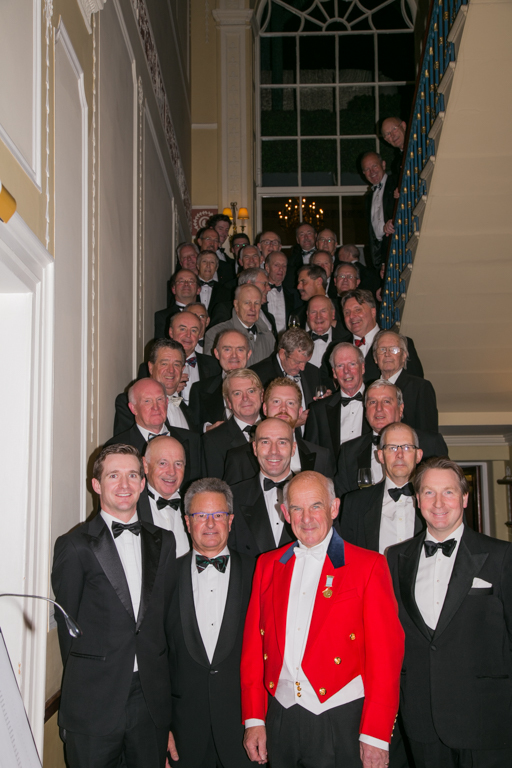 Gavin in turn amused us with a very witty response including many incidents from his time in golf, both on and off duty. 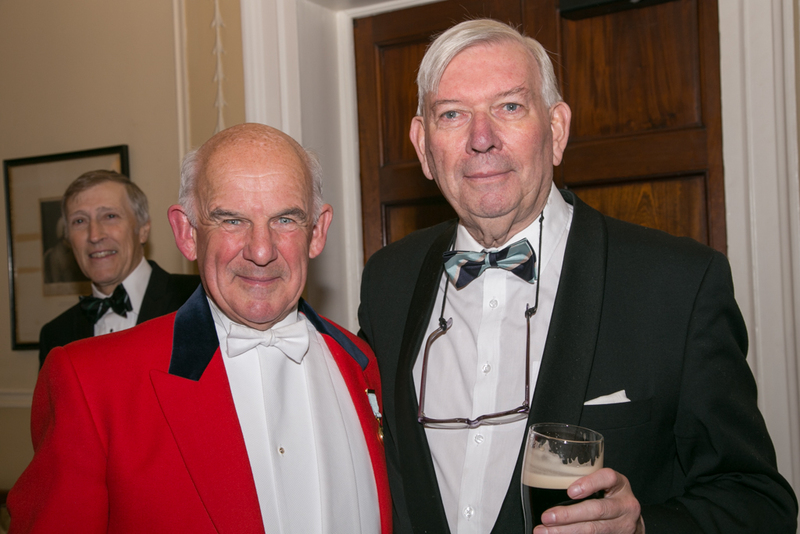 He reiterated his dedication to DUGS and said how pleased he was to see so many of our recent graduates present on whose shoulders the future of the Society rested.